OK....which direction is left to right? Counterclockwise? Clockwise?. 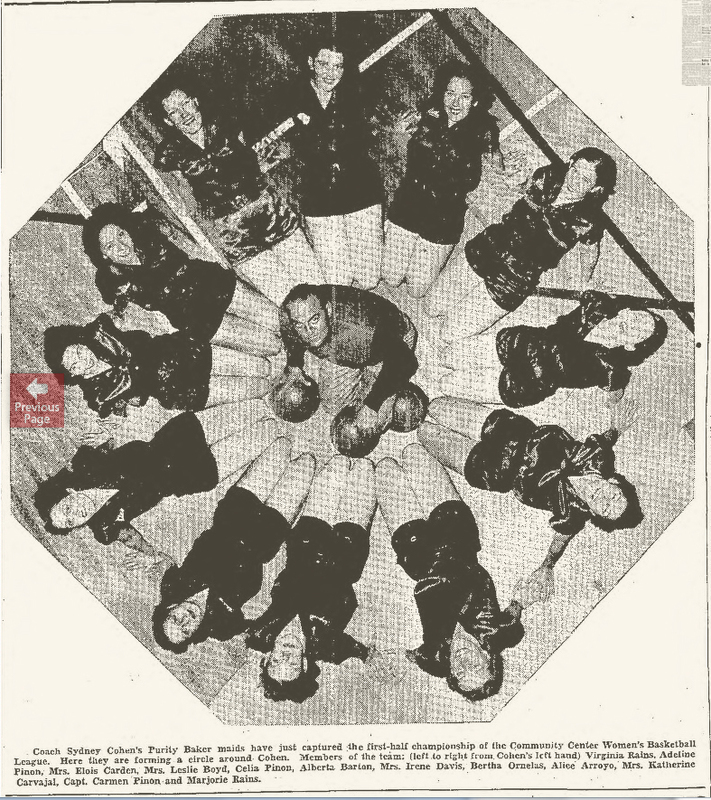 There seemed to be only one other team photo, the thumbnail on newspaperarchive.com shows it. They are sitting conventionally in that one. But when the image appears all the photos on that page are just black in the image. I am trying to determine which one is Marjorie Rains. I no longer subscribe to newspaperarchive, but have noticed that fairly recently there is access to some of its content. It looks to me like they have made some limited content available while still blacking out key non-advertisement images etc. Better than nothing I suppose. I assume the images are available to anyone with a subscription. Or since you know where it's at, could get the El Paso Herald via interlibrary loan etc. or if someone has access to a library that carries it convince them to look it up for you. The circular photo I agree is strange. in how they did it. Why they didn't just say clockwise from the top, I don't know. newspaperarchives did allow a few views for a few months, then reduced it to just one. But now they don't show any views at all unless you pay/subscribe. Plus they don't even show the text only mishmash anymore, like newspapers.com still does. So if you get a hit on newspaperarchives the only clue are the words in the hit itself on the page you scroll down. You are out of luck.